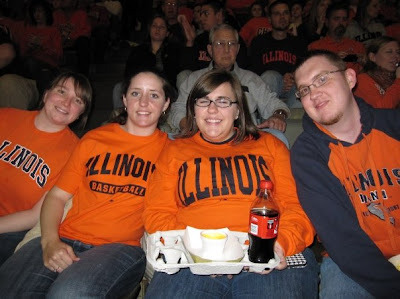 I had a lovely time yesterday at the Illinois Basketball game! 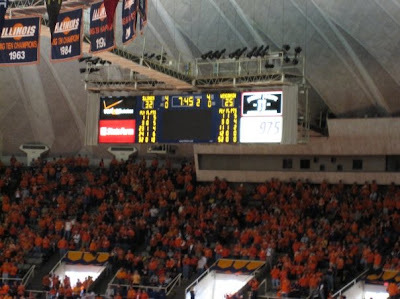 They played Wisconsin and won! 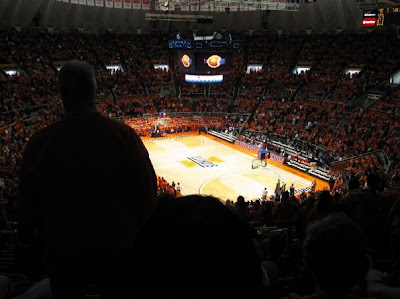 Even though I will always be a UNC fan, no matter how far away I move, I got a ticket to go to the game, so I had to cheer for the home team. After the game we missed the bus so we had to walk for 45 minutes through campus, and we froze, but we at least got our exercise. 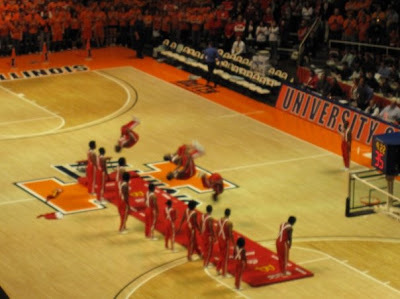 Here are some pictures of us at the game, the crowd and the half-time show of Tumblers from Chicago.